As we look at the coming school year, there are several items the staff and I are preparing for. Project based learning is one area of exploration and implementation coming to Redeemer. Project based learning engages students by focusing their knowledge and skills. Students work for extended periods of time investigating and responding to authentic, engaging and complex questions, problems or challenges. This is NOT done at home, but in the classroom! Teachers guide and encourage students to solve real world problems or answer complex questions through long term, well planned projects. Finland, one of the leaders in education, has demonstrated that this method results in long term success and better retention of learned materials. Students are given some freedom to chase their dream and explore their world, while learning to collaborate and work as part of a team. Projects focus the children and their interactions with the world around them. Interactions broaden as students mature. The younger grades will begin implementing small projects and presentations. In depth study of topics helps promote long term learning and understanding of concepts. Lessons build on one another with the understanding that all curricular areas are interrelated. Students will have a broader and deeper understanding of all areas by integrating. The staff is solidly behind improving and scaffolding the learning of students in a research based and proven methodology. The staff will be doing intensive training and preparing this spring for the adventure ahead!!! Redeemer Lutheran School provides students with a standard based curriculum. 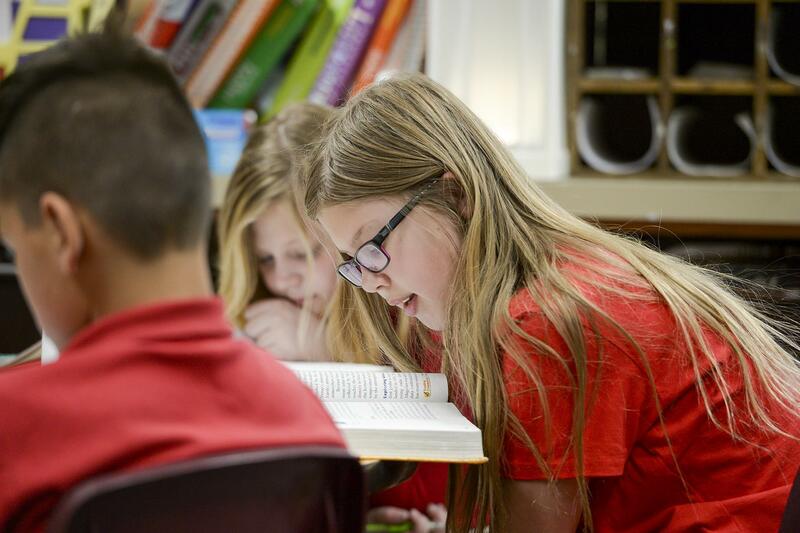 Standards for all grades have been established through combining Utah State Standards, National Lutheran School Standards, as well as additional standards from New Generation Science Standards and key standards from outside the state of Utah. Language Arts and Math standards for all grades begin with Utah State standards, and are customized to each classroom and each student to maximize student success and growth. Science, Social Studies and Health standards combine standards from multiple grade levels and are organized in a two year track for each classroom. This two year instructional track provides students with in depth instruction in key concepts, creating rich understandings, easily carried forward into application and their lives in the future. STEAM practices can be seen in many areas of the curriculum and students experience opportunities for hands on exploration to further their knowledge and understanding. Our annual all school STEAM day provides students, parents and teachers with a day of teamwork, learning and fun.